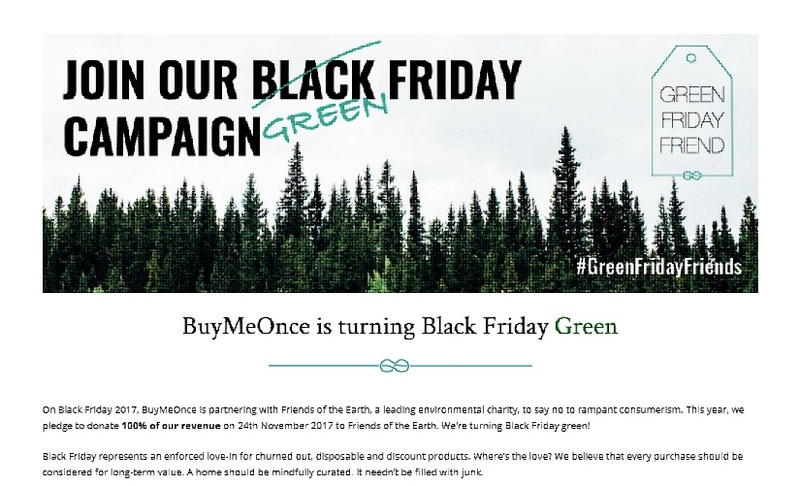 BuyMeOnce are running a fantastic campaign this year. They are pledging to donate 100% of their revenue on Green Friday 24th November to the environmental charity Friends of the Earth and encouraging people to make long-term purchases rather than spending money on less essential items. More information on the campaign and how you can get involved.